The insatiable curiosity of Curious George – the little monkey who has captured the imagination and hearts of millions of children and adults for 65 years – comes to life at the Science Museum of Virginia on January 19, 2019! The new exhibition, Curious George™: Let’s Get Curious!, introduces guests to Curious George’s world and leads them on a fun math, science and engineering-based adventure. Based on the familiar characters in H.A. and Margret Rey’s classic stories and inspired by the animated television series on PBS KIDS, the exhibition takes place in the neighborhood where Curious George lives with his friend, The Man with the Yellow Hat. Guests will be able to operate wheels to help George climb a building, sort and weigh fruits and vegetables at the produce stand, use science skills to putt a hole of mini golf, climb the rocket from George’s space adventure, build a whirligig in the country and visit the Museum within the Museum. 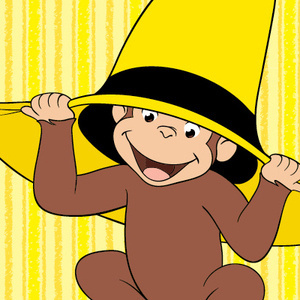 Curious George™: Let’s Get Curious! is included with Museum admission. The exhibition opens January 19, 2019 and remains at the Museum until September 15, 2019.